I made this for my 2 yr. old daughter, Abbi, to give her Gramma. Start by folding your bag in half. I layered with red cardstock, cut 1/8" smaller on all sides than the width and length of the bag front. Then added the first layer of decorative paper, also cut 1/8" smaller. I layered again with another decorative paper. Then mounted the image to pink cardstock and again to brown cardstock. I adhereded the image and sentiments with mounting tape to give a 3D look. Added, lace and flower embellishment. 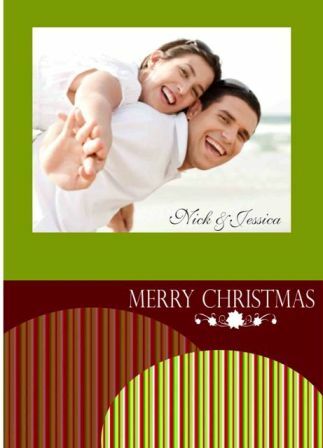 The inside of the card is layered with pink and red cardstock, cut 1/8" smaller the bag sections. 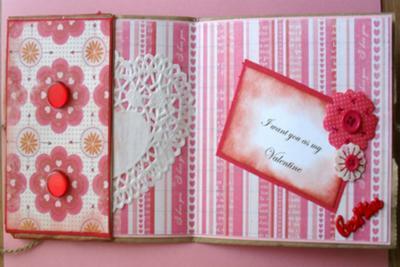 Then added, decorative papers, buttons, heart doily, more flowers and another sentiment. Be sure to glue down flaps on your bag, creating pockets for hidden goodies, etc.. 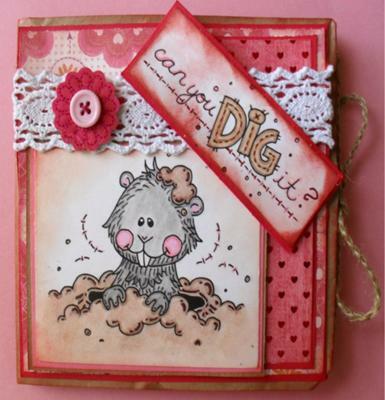 Such a Fun card to make!! I am a stay-at-home mom to 1 child, my 2 yr old daughter, Abigail Rose. I started making cards about 2 yrs ago, and it has become an addition!!! lol My 1st attempt at cardmaking was with the purchase of a Cricuit to make my child's first Birthday invitation, and has grown from there. When I discovered digital stamps, it really took off! I love viewing tutorials, and learning new card folds, techniques, etc.